Louth Town’s run of luck continued as they were sunk by a late winner against Wyberton on Saturday. After a goalless first half, the White Wolves took a 1-0 lead in the Lincolnshire League clash through Jack Barker. But the visitors levelled through Jake Beauchamp’s spot-kick before substitute Nathan Wright struck a late cruel blow to Louth’s hopes. A two-minute silence was held before the game in memory of Don Streets, a club stalwart and long-time volunteer at Town who died recently. Wyberton had the better of the first 15 minutes, but didn’t create any real chances, and it was Louth who found their feet and finished the half well, but also without calling the keeper into real action. Town carried this momentum into the second half and were soon ahead when they won the ball from Wyberton’s goalkick, knocked it out wide and crossed into the box for Barker to guide the ball into the net. But the goal kicked Wyberton into action as they took the game to Louth. Jamie Elston was brought down in the box and Beauchamp converted to level, and the visitors found the winner 10 minutes from time when Sam Anthony took the ball on the right and played it into Beauchamp whose fine delivery allowed Wright to head home. 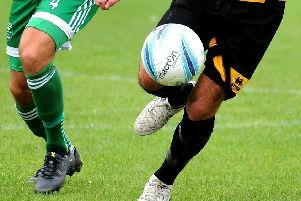 Louth stay bottom of the league after a run of six straight defeats. 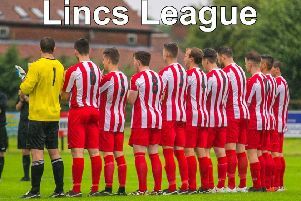 But after an improved display, they will look for a third league win of the campaign when they entertain Lincoln United Development Squad at Saltfleetby on Saturday (kick-off 2pm).